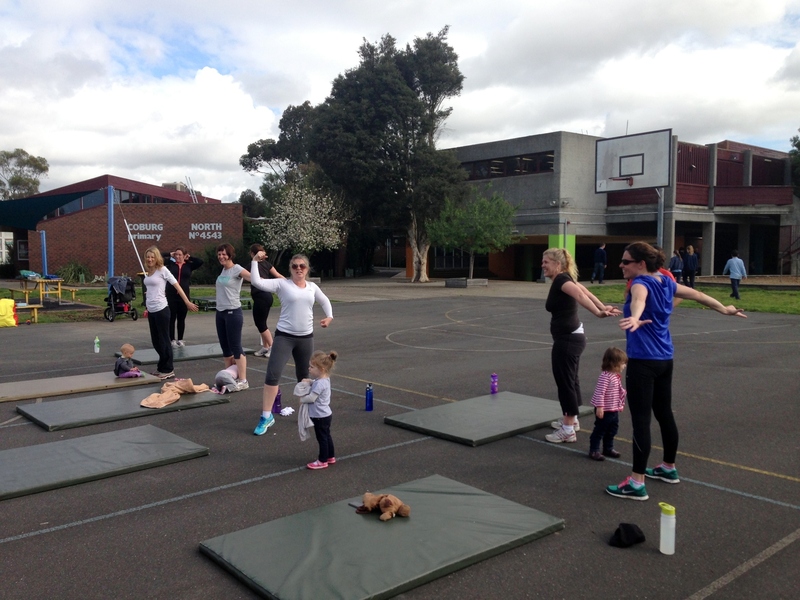 Every Tuesday since the start of term 3 a group of dedicated mums have been pulling on their trainers and meeting in the school amphitheatre to sweat it out. 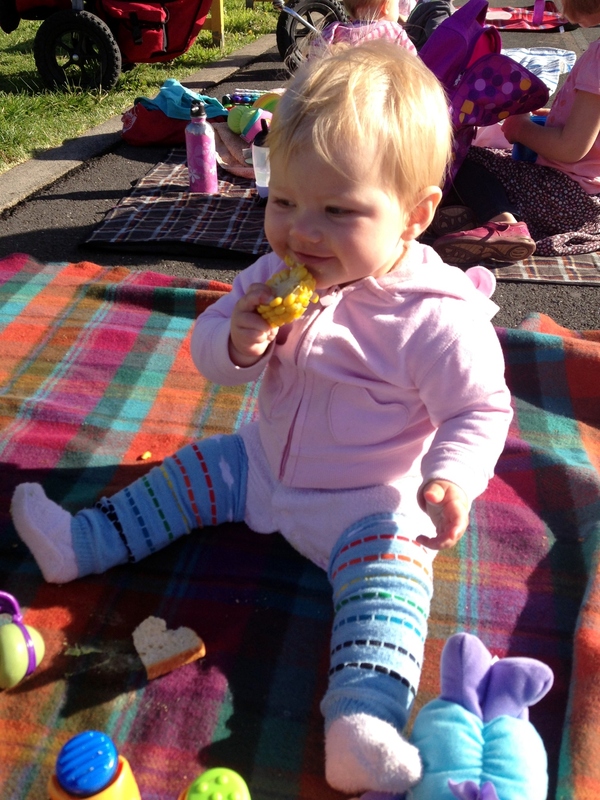 This Tuesday the sun was shining for the start of term 4 so we ventured out onto the basketball courts. 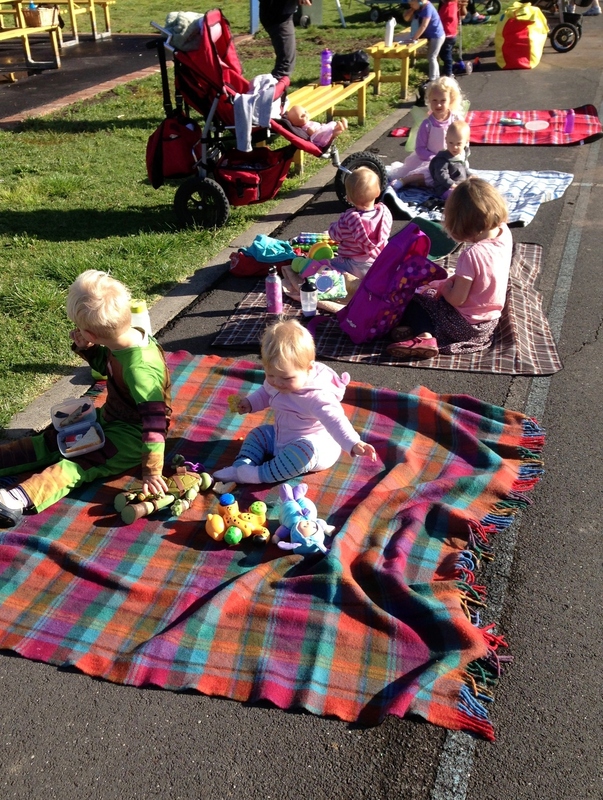 The little kids are welcome to come along and a big pile of picnic blankets brightens the area. 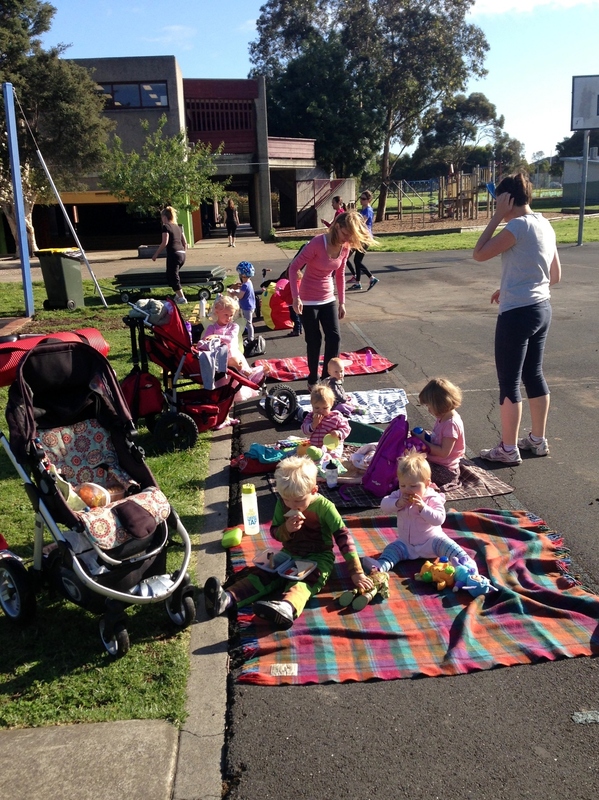 Meanwhile the mums get busy being led by our very own Megan Eddy. The class runs for 45 minutes and starts straight after school drop off. 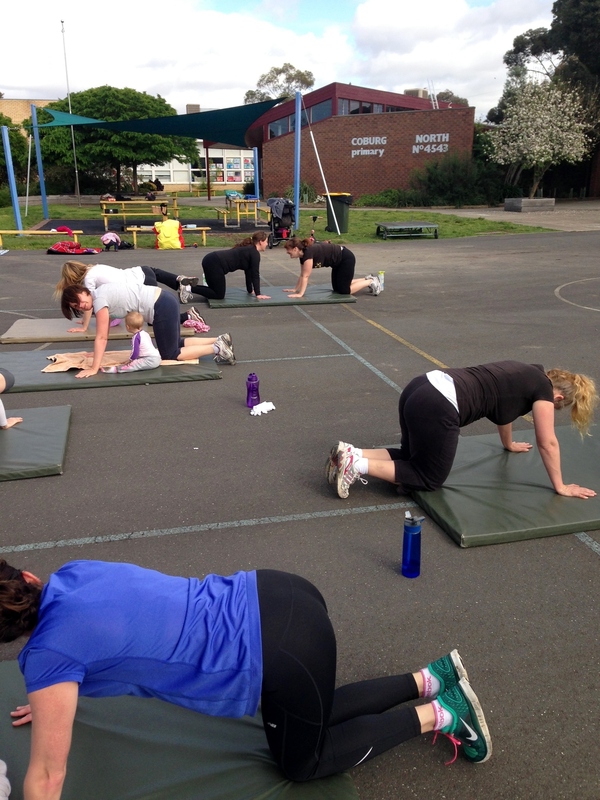 Each week we do warm up, upper and lower body strengthening, cardio, core strengthening and cool down. The cardio is based on boxing which has proven to be very cathartic for us stressed out Mums!